Dr. Clements, in her Baccalaureate address, available here. 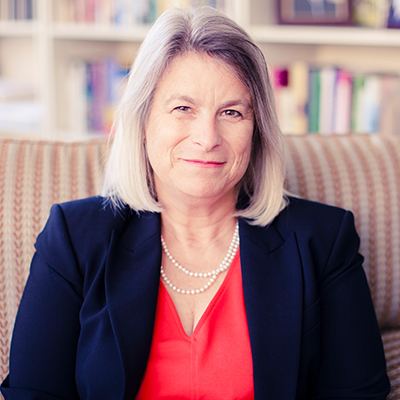 Mari Clements, a member of Fuller’s faculty since 2001, was named provost in January 2019. She also serves as accreditation liaison officer for the seminary. Prior to her role as provost, she served as dean of the School of Psychology for four years. In her School of Psychology work, Clements has conducted research on the impact of marital conflict on family members. Her recent research has examined marital conflict in intact families, models of satisfaction and stability in marriage, and the effects of marital conflict on parent-child relationships and children’s peer relationships. She has also worked to develop reliable and valid indices of preschool children’s perceptions of and reactions to marital conflict, of couples’ perceptions of their own constructive and destructive strategies for managing conflict, and of translated measures for use in immigrant populations. Clements is a member of the Association for Behavioral and Cognitive Therapies, the American Psychological Association, and the American Psychological Society. Her work has appeared in scholarly journals including Couple and Family Psychology: Research and Practice, Journal of Marriage and Family, Family Process, Parenting: Science and Practice, and Journal of Family Psychology. She has also authored several book chapters and presented at various psychology association meetings around the country. Download Dr. Clement’s CV, which includes a list of her current publications, here.